Is your child’s social calendar is filled with birthdays? Well then you may be looking for a unique gift for the special friends in their life. Lucky for you, San Francisco is full of places where you are sure to find something to suit any child’s tastes. So take a break from Amazon and find some true treasures at these local shops. Quirky, fun, and uniquely San Francisco; those are just a few words to describe Lola of North Beach. 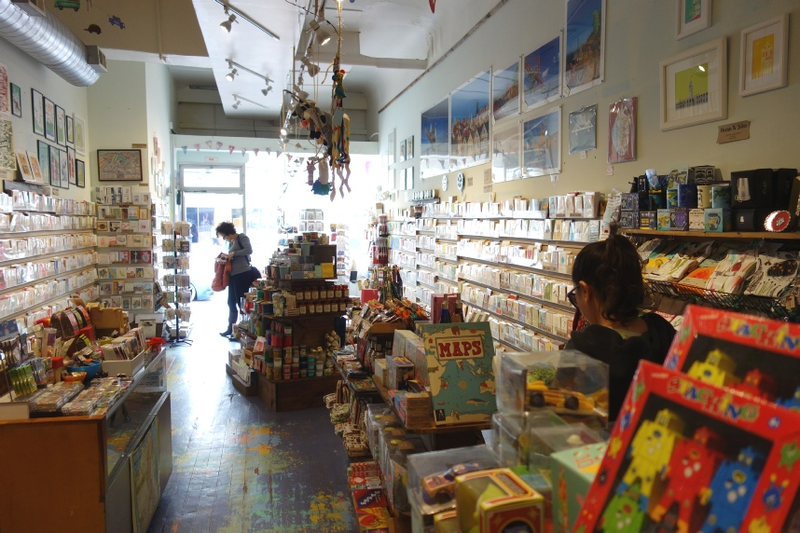 This cozy boutique with two locations (one in the heart of North Beach and the other in Ghirardelli Square) offers a wide variety of unique gifts for kids of all ages (and adults too!). This is an excellent place to shop if you’re looking for a gift from San Francisco that’s not just a typical tourist find. Wonderful books, 3D model kits, and even magnetic wooden trolley cars compatible with the train tracks you have at home can all be found within the shelves. Some kids are just hard to shop for — you know the ones; they aren’t into clothes, not really into toys, and their personal style might best be described as “eclectic” as if a mere word could capture who they are. For kids like those, Serendipity might just be the place to go. You’ll never be quite sure what you’ll find hiding in the shelves and baskets but odds are you’re going to find that amazing unique gift that will resonate with the very soul of that child. Plus, you can’t help but smile at the whimsy and joy that this shop exudes. Sometimes it’s hard to a find a toy that’s not digital, doesn’t take batteries, and doesn’t make noise. Luckily, places like Paxton Gate’s Curiosities for Kids exist. 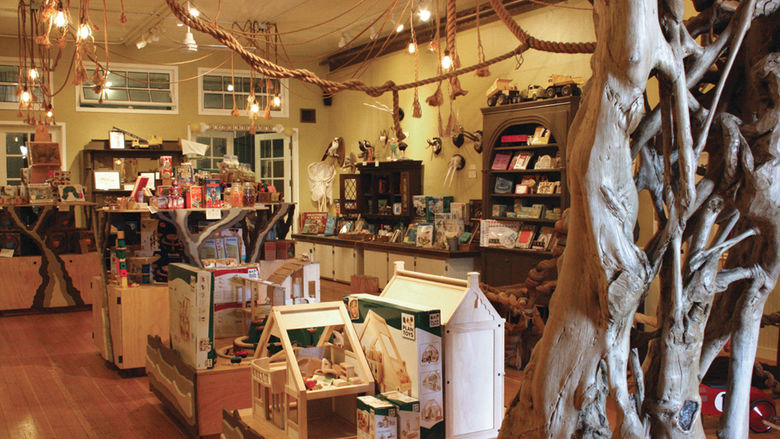 In a world that seems to be run on high tech at all times, this shop is focused on the natural world. Within these walls (creatively styled, I might add) you’ll find gifts for your little artist, budding scientist, intrepid explorer, and even your quiet bookworm. Some of these high quality gifts will make you reminisce about your own childhood while others will have you itching to interact with your kid as you learn together. You’re sure to leave the store with the perfect gift (and maybe even something for yourself!). Everybody deserves nice things and no exception should be made for the little people in your life! 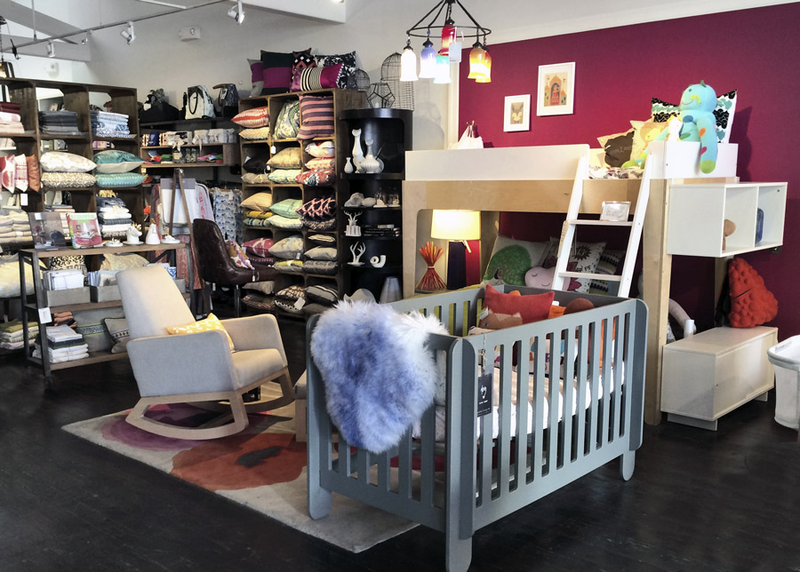 Aldea Home + Baby is an upscale boutique offering some of the finest clothes, toys and books in the city. 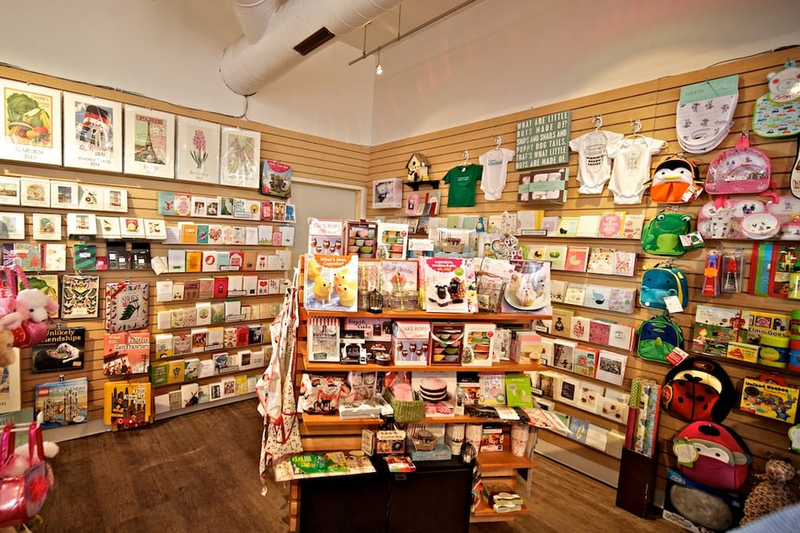 The items do run a bit on the young side — this is a perfect place for the 5 and under crowd or a unique gift for a baby shower. You’ll be taken in by the cool, clean lines and organized styling and wish desperately your own home looked that good. Close your eyes before you step foot inside one of Tantrum’s two locations. When you open them, you’ll suddenly be in the most outlandish carnival you’ve ever seen. You might find yourself catching your breath as you gaze at the walls decked out in amazing toys, books, clothes and everything you could have dreamed of as a child. The store definitely has a “low tech” vibe to it and you’ll most likely see toys from your own childhood sharing the shelves with new innovations. Added bonus? 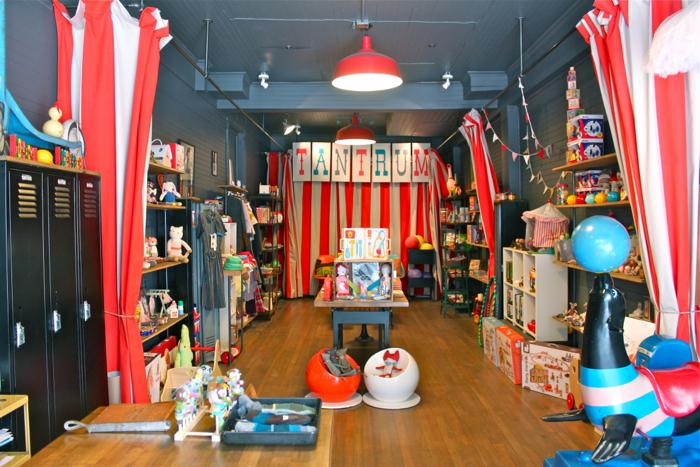 Tantrum also offers complimentary gift wrapping with your purchase!